We LOVE our visitors! Please visit our Southern Hospitality Tent...Tell us where you're from or enlighten us with your favorite Clarksdale experience. Keep Us Juk'in! Handmade action toys, cactus farm, kids grab bags, door hangers, halos. Blue Brush Art tells a painted story where every color is important. We want to expose people to art through exhibitions that make the link with blues music. It's all connected. Home sewn clothing and accessories. Raffle of a box guitar. Art Cards and Prints of my original art work. Cutlery, Culinary tools, cookware, flatware, BBQ and garden tools, sporting knives, scissors. Leather handmade belts (name applied), belt buckles and leather wallets. Guitars, amplifiers, picks, slides and accessories. We offer cotton-themed art, including posters, throw pillows, & hats with the iconic Ski Mississippi image (see Ski MS Facebook page). Additionally, we offer abstract mixed media paintings on wood and canvas and bottle cap art. See Delta Cotton Exchange on Facebook and Instagram. Selling subscriptions, Delta-inspired retail such as party cups, cocktail napkins, etc...and books. Primarily Lipstick, skincare, and make up products. Information about services offered and sale items for our Pet Therapy. Enhance your festival experience with cosmetic glitter gel for hair, face and body. Selling of fine handmade cigars. Handmade various crosses, state shapes, guitars, juke joint folk art. Water color paintings and prints. hosted by ‘Green Bullet’ Luke. Come Jam Y'all! JJFest - Where Y'all From? Tag art-guitars, rustic wall signs. 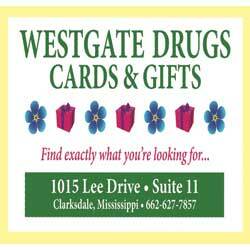 Hand-made pottery, jewelry, paintings, note cards, coasters and seed bombs. UNDER THE RED STRIPED TENT-243 DELTA-Thursday 10 am to 5 pm. Friday 10 am to 6 pm. Saturday 10 am to 8:30 pm. Hand and Lathe turned wood bowls, forges knives, pocket, hunting, collectible knives and decorative items. Handcrafted jewelry using semi-precious gemstones, freshwater pearls, designer studio glass, brass, bronze, copper, jute, suede and leather. Original Watercolor prints, Wooden wall hangers, Pottery magnets and anything DELTA!!!!!! Paintings small and large. Lots of hearts, angels and crosses, and delta treasures. Old vases, bottles and bricks turned into beautiful pieces of art. Book, photography, maps, and paraphernalia sales of the Juke Joints. Oil paintings of blues artists on recycled cigar boxes, wood and canvas. Flowers and birds. Boxes have changes on the back to hang on wall or set on table flat or upright. Handmade one of a kind purses and accessories. Hand made music themed bird houses.-All "rescued" materials-useable. Beautiful precious and semi-precious stones set in unique ring, bracelet and earring settings. Original blues/jazz/roots folk art paintings, photography, mixed-media prints and Hand-made cigar-box folk instruments. Costume Jewelry-Lots of cute jewelry at great prices. Spring staff and students of all ages (grades 2-college) share about their favorite programming & personal success with passers-by via interactive displays, games. Folk art, Upcycled art, Self Taught art, Outdoor art, Handmade jewelry funky,chunky, eccentric stuff!